Seller states that everything on the boat is in good working order. Boat has some wear & tear and has been used in salt and freshwater. The hull was in very good condition other than some oxidation which seller buffed out. She has always been since current owner has had her in dry storage either inside or under cover. There a few spider cracks in the hull mostly on the gunnels. Stock #149430 Very nice 2004 Grady White 205 Tournament! Ready to fish and entertain! If you are in the market for a dual console, look no further than this 2004 Grady-White 205 Tournament, priced right at $19,500 (offers encouraged). 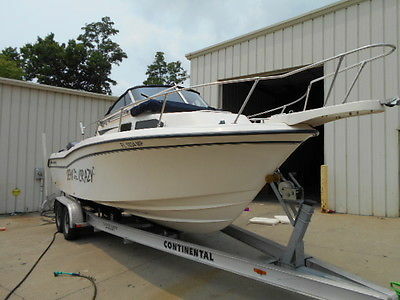 This boat is located in Danville, Kentucky and is in decent condition. She is also equipped with a Yamaha engine that has 520 hours. 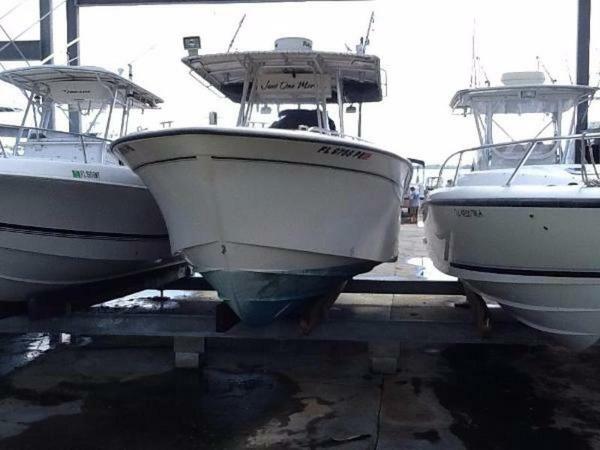 2001 Grady White 248 VoyagerTwin 115 Yamahas 4 stroke450 total hoursRaymarine C-80 Multi function plotter, depthsounder/ fishfinderSansi-Potty and sink in cabin w inline macerator Raw water washdownBuilt in live wellRod storage for 6 rods in back many more in cabinThru hull rod holders Soft Bimini top and full canvas cockpit enclosuresFully stocked fishing gear including 6 salt water rods all Ugly Stick withPenn sportsman series reels.Two DownriggersAll necessary off shore gear! All of it included! 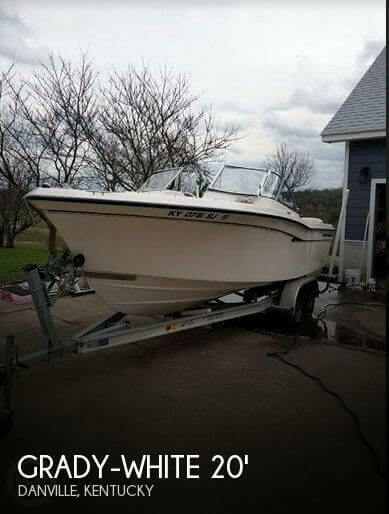 If I totaled it up mywife would divorce me!2007 All Alum custom built Continental trailerAnti sway bars with new tires in 2013.Both boat and trailer have been completely serviced bi-annually. Any timespent in salt water was followed by full engine wash out with quick connectfresh water. As well as the entire boat and trailer full fresh water washdown post use!